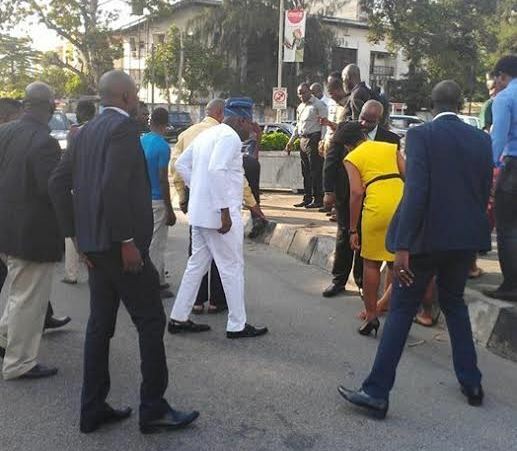 Lagos State Governor, Akinwunmi Ambode, came down from his vehicle around 8 this morning to assist in the rescue of an accident victim. 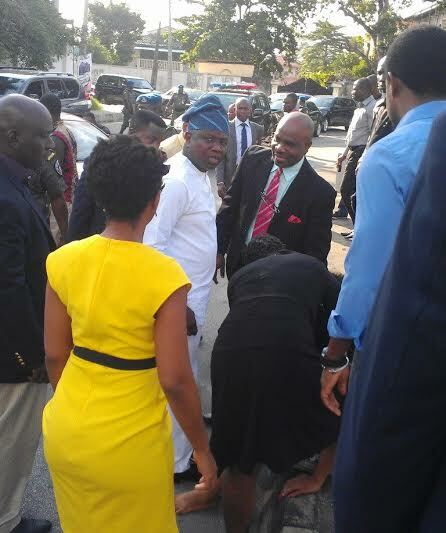 The lady, Anukam Angela, lost control of her car and hit a median along Osborne road in Ikoyi. Ambode, who was on his way to work, asked his convoy to stop and ordered the ambulance attached to him to take the lady, who was in a state of shock, to Lagos Island General hospital. Angela was treated for minor injuries and discharged free of charge on the order of the Governor.